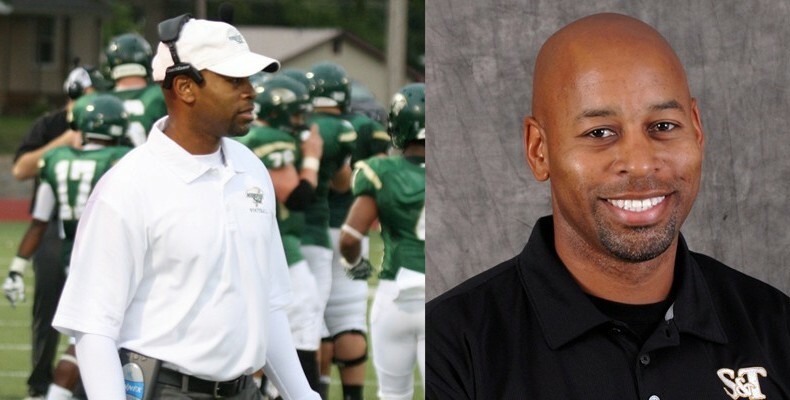 David Brown, who guided Missouri S&T’s football team to its best season in more than three decades in 2012, is stepping down from the head coaching post as he has accepted a position on the staff at Fresno State University. Brown will join the Bulldogs’ staff as a defensive secondary coach after spending the last three seasons as the Miners’ head coach. He led S&T to a mark of 19-14 in those three years which included a 10-1 record and a No. 24 national ranking in the final American Football Coaches Association poll in the 2012 season. During the 2012 season, the Miners had one of the top defensive units in both the Great Lakes Valley Conference and NCAA Division II. It led the nation in turnover margin at plus two per game, while finishing second in sacks with a school record 45 and fifth in rushing defense as it allowed only 86.7 yards per game. Missouri S&T led the GLVC in total defense as well as four other defensive categories, while the Miner offense also led the league in scoring with a school record 458 points during the year, as the Miners finished second to NCAA playoff participant Indianapolis in the inaugural season of football in the GLVC. The 10 wins posted by the Miners last fall tied the most in a season in school history and earned the Miners their first end-of-season national ranking since 1980, when they originally set the win mark in a 10-0 season. S&T was ranked among the top 25 teams in the nation during a season for the first time since 1984. A search for Brown’s successor will begin immediately.